Let’s work together to send a strong message. Contact your legislators today. Tell them what You Care about! Here are a few facts to help you call or email. Efficiency is Efficient! Return the funds! Protect our local jobs! 34,000 CT tax paying jobs are Energy Efficiency jobs. Supports our State- Efficiency pays CT millions in taxes annually. Lower costs: Efficiency lowers our energy costs and energy consumption. Protects Health: EE lowers both air and water pollution protecting human health. Grows CT economy: Efficiency brings over 1 Billion Gross State Product (GSP) dollars annually to Connecticut! Thank you for your support of Energy Efficiency and Clean energy. 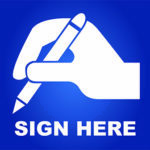 Connecticut must Support Prioritization of Equal Access to Energy Efficiency Services in Connecticut we demand that the Ratepayer C&LM and RGGI funds be returned to equally serve ALL Connecticut Electric (Ratepayers) and meet our states energy (CES) plan and economic goals. We demand the state of Connecticut’s leaders keep their promise to ALL Connecticut electric ratepayers by taking the following two actions this legislative session. 1. Implement state policy to ensure EQUAL ACCESS to all Cost Effective Energy Efficiency (EE) services and upgrades for ALL ELECTRIC RATEPAYERS regardless of heating fuel source type (FUEL BLIND DIRECT EE SERVICES). We must NOT excluded the Oil and Propane households from accessing proven energy saving services and efficiency incentives. 2. Support “A Repeal of the diversions of the electric ratepayer funds”. 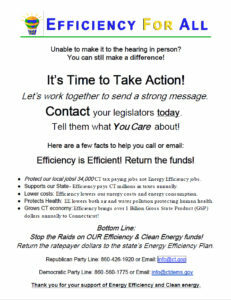 The C&LM ratepayer funds must be returned this session to support cost effective direct energy efficiency services in Connecticut or we can not meet our state’s Clean Energy Strategy (CES) or Our Climate Goals. Efficiency is our states DEMAND reduction plan. It keeps “carbon heavy fuels” from being wasted. These programs are award winning highly effective DEMAND REDUCTION programs that directly serve the ratepayers. Energy Saved is the Cleanest Energy of All Energy and should be viewed as a low cost/high return option to reducing the strain on our energy grid while lowering carbon emissions, and reducing air and water pollution. 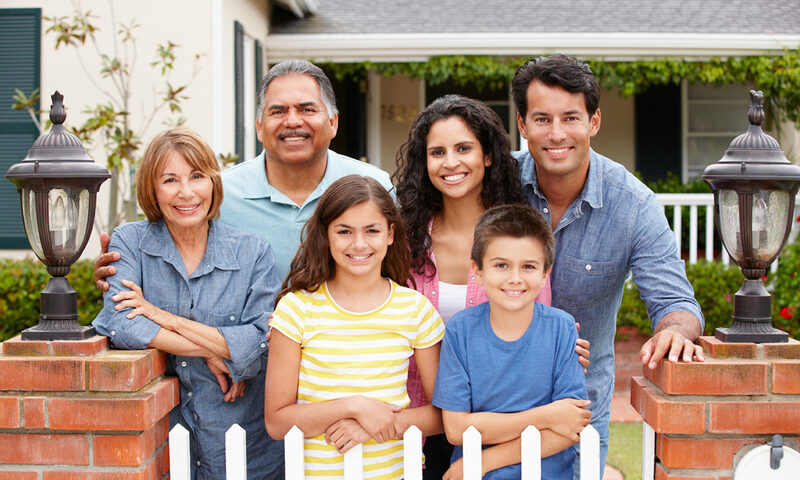 Additionally the energy efficiency programs help to educate residents across the State of Connecticut on the importance of saving energy to meet our State’s goals. This information is provided as a broad overview of the importance of Energy Efficiency as a first step in any energy plan. Residential and commercial building energy efficiency is the critical first step to any energy plan which intends to battle climate change and its negative and far reaching environmental and health impacts. This website and the reports located here have been collected and distributed for use by key stakeholders and decision makers. The intent is to provide current studies and data to EE program administration, board members, and legislators with the intent that they may better comprehend the importance of assessing a residence through the use of proven building-science based BPI assessments prior to installing any upgrades or providing any state-subsidized financing tools. As we move forward to progressing the EE/Building Science industry and many professional EE services State-wide, we intend to keep our focus on providing National data and reports to support the broad education of our goal to educate and protect the best interest of the ratepayers and residents of this State. Our contractor base has continued to raise the bar on the level of training required to assess and install direct upgrades and weatherization such as insulation, lighting retrofits, HVAC, windows, and renewable energy in homes across CT.